Once upon a time there was a little Boy who lived with his Mommy and Daddy in a little white house. One day, Daddy came home with a new car. It was a big green van. Everyone was very excited, and they gathered on the sidewalk together, opened up all the doors and windows, and climbed inside to check it out. But the Mommy and Daddy were busy talking, and exploring the many buttons and knobs in the front seat of the van. So, the little boy climbed up onto his seat and smelled the sweet, happy smell. He liked it very much. But where could it be coming from? In the third row of seats the smell was much stronger. The sweet, happy smell was brighter, even happier, and so big back there. Where could it be coming from? As he looked into the cargo space from behind the soft cushion of the seat the little Boy cold not believe his eyes. Right there in front of him sat the strangest and silliest looking thing he had ever seen in his whole life. 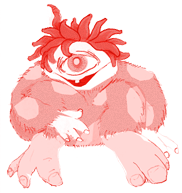 It had a white face, like a clown, one bright blue eye in the middle of its forehead, huge purple feet, a furry yellow body with polka-dots all over, and thick red hair which stuck out all over its head. The little Boy laughed because this funny thing was so funny. The little Boy smiled happily and said “My name is little Boy.” and then he laughed some more. “Yes.” said the Gumma Gumma bashfully. Then the Gumma Gumma hiccuped. And when he hiccuped, a bright pink bubble came out of his mouth. The little Boy and the Gumma Gumma watched quietly, smiling at each other, as the bubble slowly rose to the roof of the green van. and when it arrived there, it popped, and a sparkling rainbow of glitter fell down all over the Gumma Gumma, then the air filled up with a very sweet smell. “What are you doing in the back of my new green van?” Asked the Boy. “Safety belt?” asked the little Boy. The little boy said “Do you mean to make sure i am buckled up?” asked the little Boy, hoping he hadn’t embarrassed the Gumma Gumma by correcting him. “Precisely!” smiled the Gumma Gumma. “Where do you live?” asked the little Boy. “You mean you are here to make sure i buckle up?” asked the little Boy, beginning to get the idea now. They laughed and laughed. The Gumma Gumma made a few more bubbles, and the little Boy smelled the happy smell. Mommy and Daddy, being parents, assumed that the little Boy meant that he liked the back of the green van because he could see the headlights of the oncoming cars. They thought he was saying “Comma Comma,” which he wasn’t, and smiled at each other, pleased they had brought home a vehicle that the whole family could enjoy and be together in. “I think you have to go now.” said the Gumma Gumma. The little Boy paused, and began to look a little worried. “Will you be here when i get back?” he asked. “Yay!” said the little Boy, his eyes bright with delight. Then, from the back of his mind, the little Boy had a thought. He thought his thought a moment, scratched his head, and then frowned. The Gumma Gumma’s eye turned from blue to bright purple, and he began to look concerned about the little boy. “You do?” said the little Boy. “Mmm hmmm.” said the Gumma Gumma. Suddenly the little boy realized that his Daddy was reaching into the back seat and bundling him out of the green van… The little Boy squawked and tried to get away. “I wanna see the Gumma Gumma!” he protested. The little boy could clearly see that his Daddy, wonderful as he was, did not understand anything. “ok.” said the little Boy a little sadly. The little Boy and the Gumma Gumma smiled at each other again. And after a minute or two, the Gumma Gumma explained that Mommies and Daddies can not see Gumma Gummas. That sometimes, even little Boys can’t see them either. Only little Girls can always see them, at least until they become Mommys. “Why can’t they see you?” asked the little Boy. The Gumma Gumma sighed heavily, and shrugged his shoulders. Then he hiccuped again, and they watched the bubble rise to the roof of the green van and pop, sending sparkles of glitter all over Daddy’s head, and the happy smell filled the whole van. They laughed and laughed until it was time to go in the house for hungry dinner time. Over a nice warm pizza, the little Boy told his Mommy and Daddy all about the Gumma Gumma. And while his parents were interested, and even amused, it was clear that neither of them understood what the little Boy was talking about. His Mommy and Daddy smile, most of the time, because they think he is going to look and see if any cars are coming. They have no idea that the silliest looking thing that their son has ever seen lives in the cargo space of their very own van, and smiles warmly at him. Sending up a bubble of two while they drive to remind him that the Gumma Gumma lives in the way back, and will always be there to protect him. Even after he grows up, and forgets all about him. have you ever thought about illustrating and publishing, specifically for children? i love the sweetness of this story (and not just the hiccup bubbles). the gumma gumma has captured aidan, ben, and my hearts! yay for you and thank you for this perfect story, which aidan and i springboard off of all the time. we should get together and write some more. a series of stories about the Gumma Gumma. s’what the world needs now: more pink hiccup bubbles. Just discovered this, and the other treasures…how lovely :-) Just what I needed on a day of healing for me. (every third day I’m taking the whole day off while I recover) Do you read these stories to Forrest? this was a fave when we had our green van. my son says there’s no gumma gumma in his new blue car. Where did the van go? Hope not another theft, eep. Whatcha got now? search here for “we got a new car” and find out! Happy happy story. I have angels that watch over me, and they have kept me safe foy years. I hope they never leave me, or that I never forget them.